1. Bendersky JW. A History of Nazi Germany: 1919 -1945: Rowman & Littlefield Publishers, Inc. ; 2000. 2. 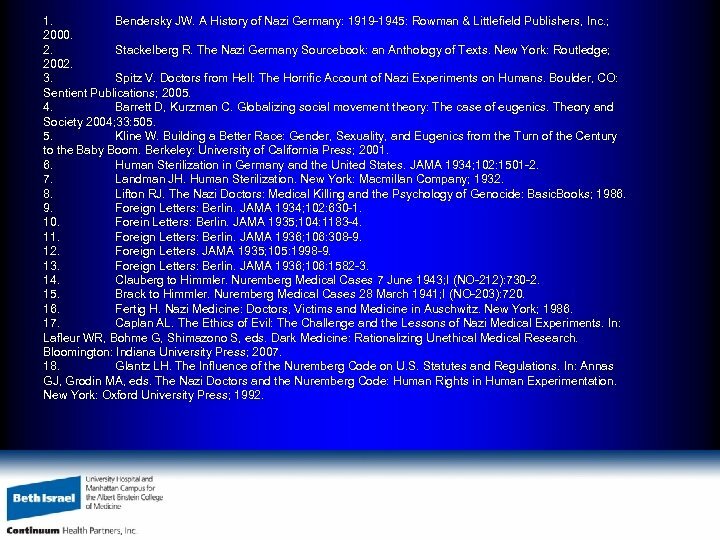 Stackelberg R. The Nazi Germany Sourcebook: an Anthology of Texts. New York: Routledge; 2002. 3. 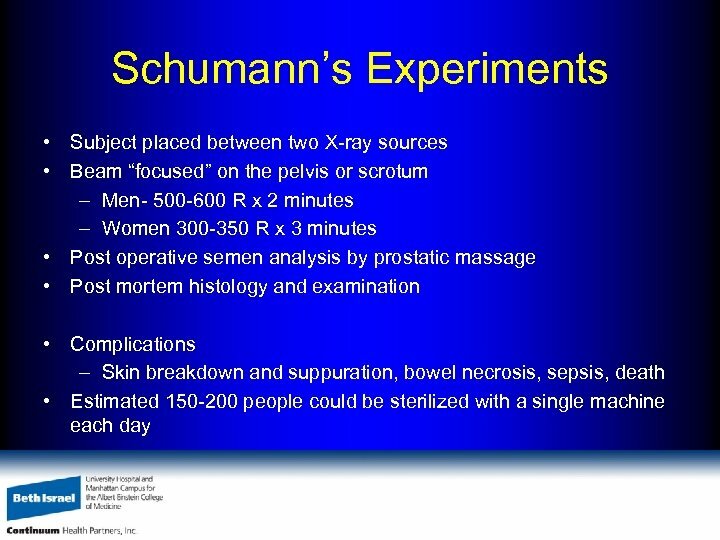 Spitz V. Doctors from Hell: The Horrific Account of Nazi Experiments on Humans. Boulder, CO: Sentient Publications; 2005. 4. 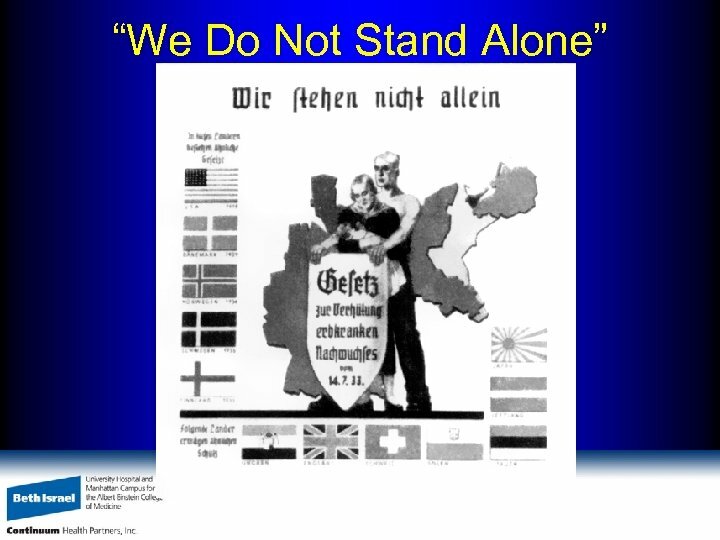 Barrett D, Kurzman C. Globalizing social movement theory: The case of eugenics. Theory and Society 2004; 33: 505. 5. Kline W. Building a Better Race: Gender, Sexuality, and Eugenics from the Turn of the Century to the Baby Boom. Berkeley: University of California Press; 2001. 6. 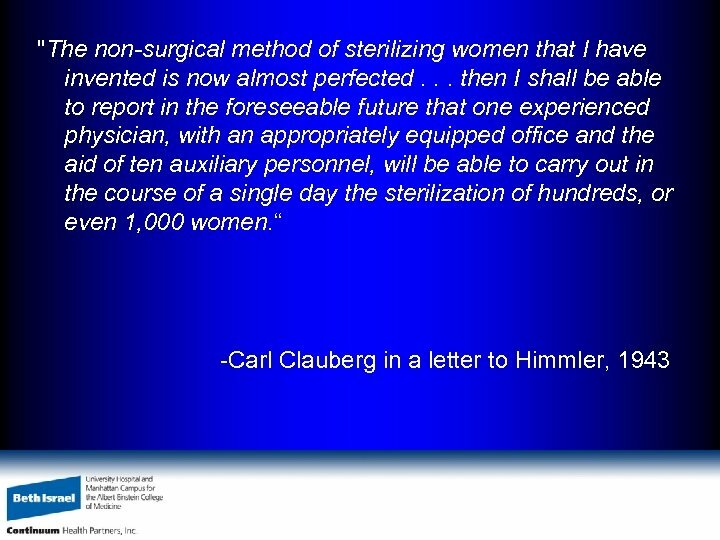 Human Sterilization in Germany and the United States. JAMA 1934; 102: 1501 -2. 7. Landman JH. 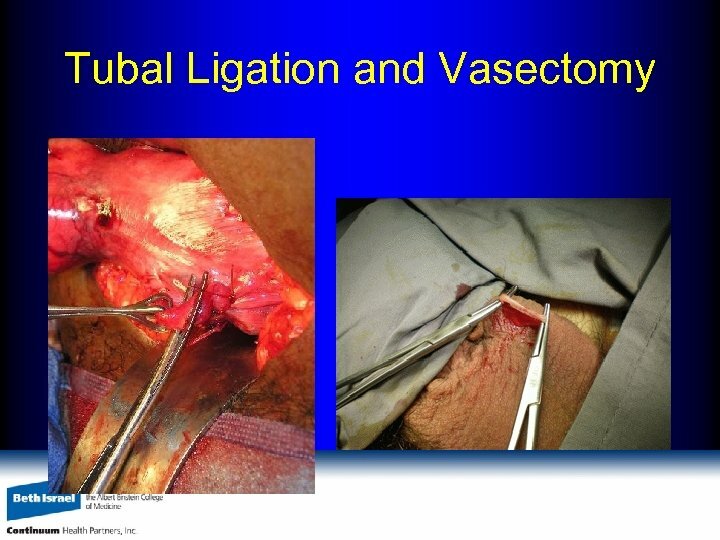 Human Sterilization. New York: Macmillan Company; 1932. 8. Lifton RJ. 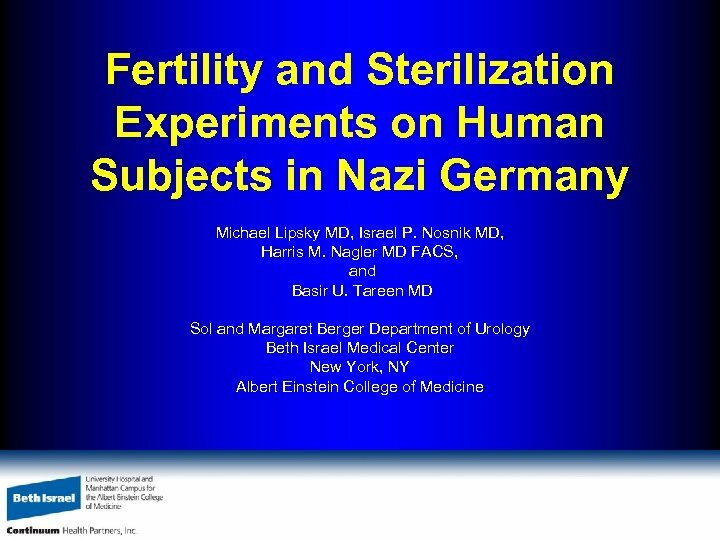 The Nazi Doctors: Medical Killing and the Psychology of Genocide: Basic. Books; 1986. 9. Foreign Letters: Berlin. JAMA 1934; 102: 630 -1. 10. Forein Letters: Berlin. JAMA 1935; 104: 1183 -4. 11. Foreign Letters: Berlin. JAMA 1936; 106: 308 -9. 12. Foreign Letters. JAMA 1935; 105: 1998 -9. 13. Foreign Letters: Berlin. JAMA 1936; 106: 1582 -3. 14. Clauberg to Himmler. Nuremberg Medical Cases 7 June 1943; I (NO-212): 730 -2. 15. Brack to Himmler. 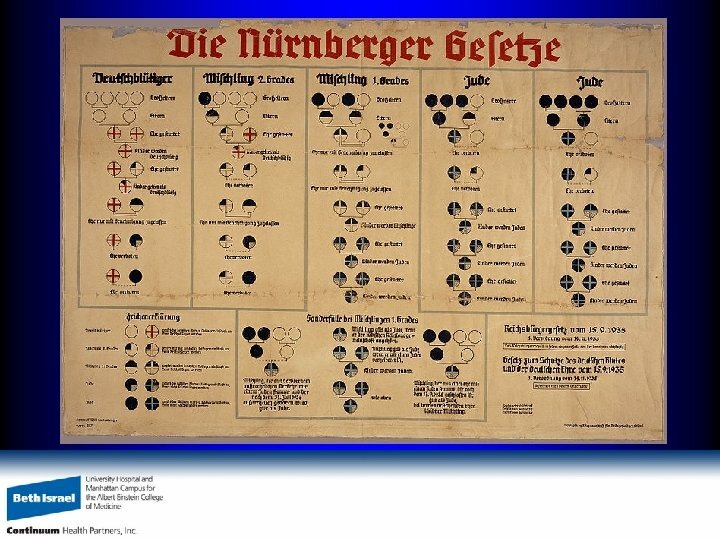 Nuremberg Medical Cases 28 March 1941; I (NO-203): 720. 16. 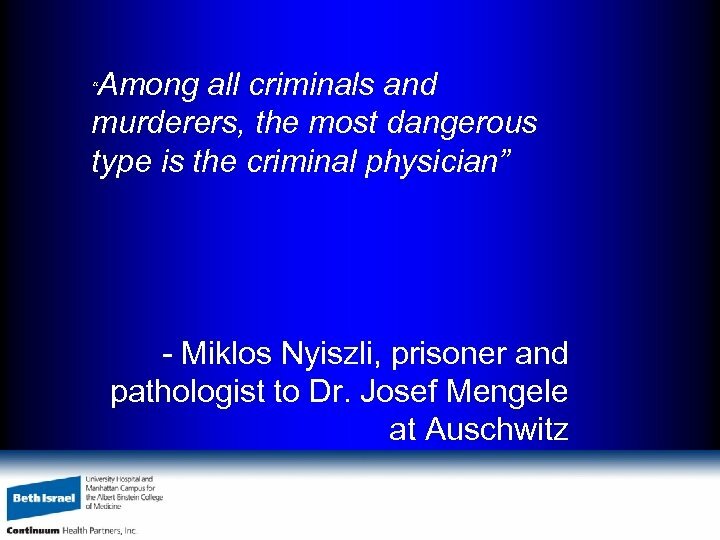 Fertig H. Nazi Medicine: Doctors, Victims and Medicine in Auschwitz. New York; 1986. 17. Caplan AL. 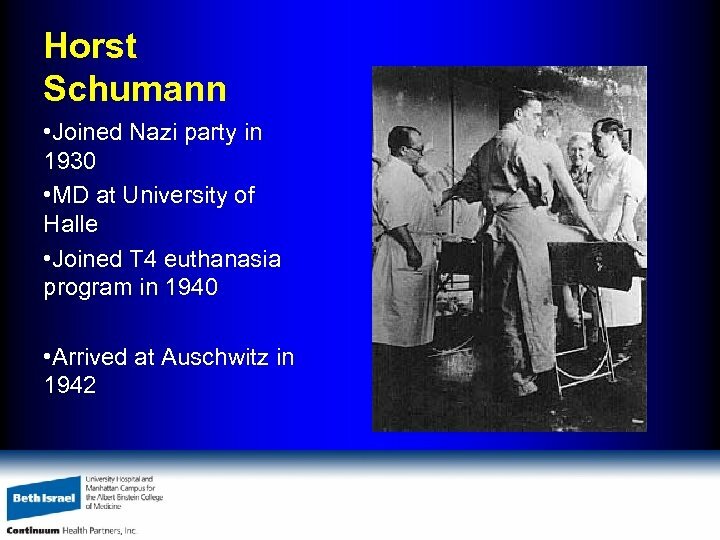 The Ethics of Evil: The Challenge and the Lessons of Nazi Medical Experiments. In: Lafleur WR, Bohme G, Shimazono S, eds. 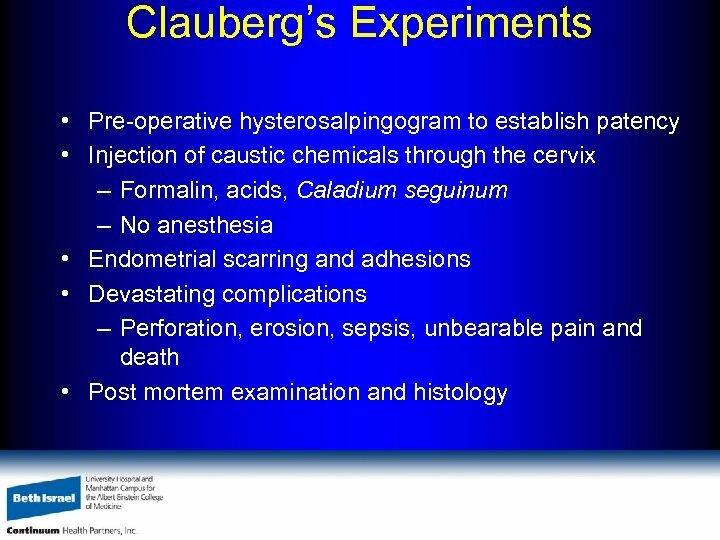 Dark Medicine: Rationalizing Unethical Medical Research. Bloomington: Indiana University Press; 2007. 18. 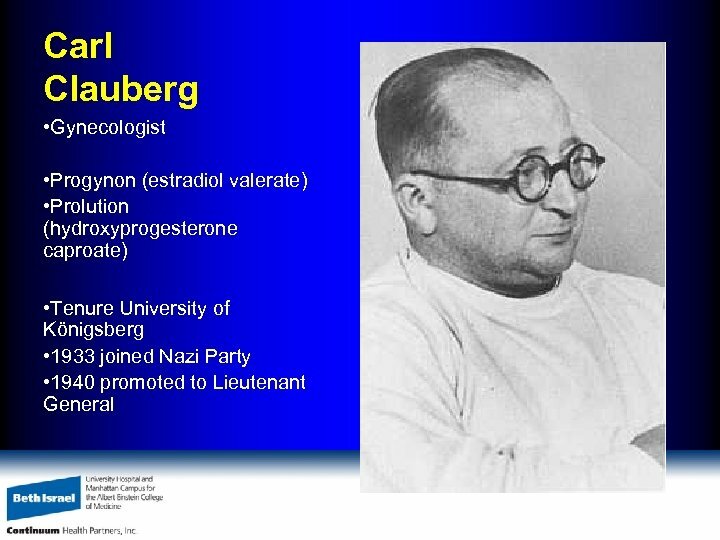 Glantz LH. 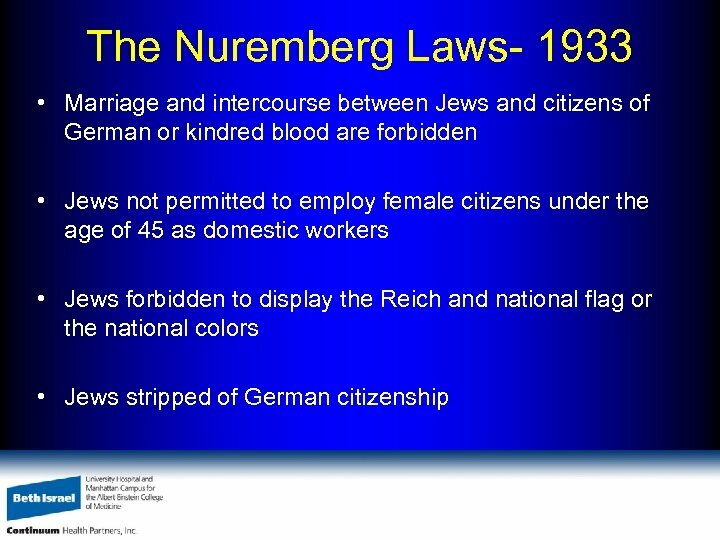 The Influence of the Nuremberg Code on U. S. Statutes and Regulations. In: Annas GJ, Grodin MA, eds. 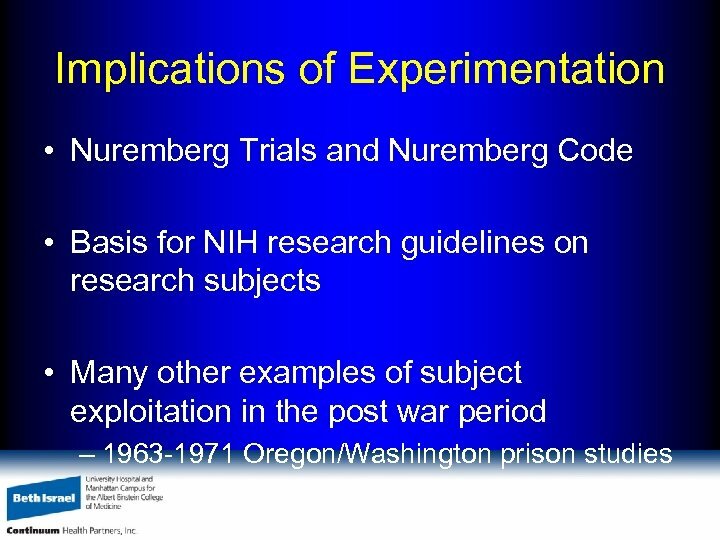 The Nazi Doctors and the Nuremberg Code: Human Rights in Human Experimentation. New York: Oxford University Press; 1992.